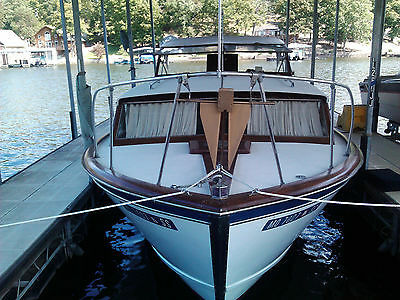 1988 Chris-Craft Cavalier 19 Bowrider Well maintained gorgeous Chris-Craft With Mercruiser Alpha I drive. New impeller, interior, battery, top and cover. Runs perfect. Never any mechanical problems. Trail-Rite trailer tandem, new tires, bearings, wheels, wiring, buckboards and lights. All redone by Trail-Rite. $7,000 OBO Daytime PH 818-554-5999 Night PH 909-560-5775. Please no soliciting! 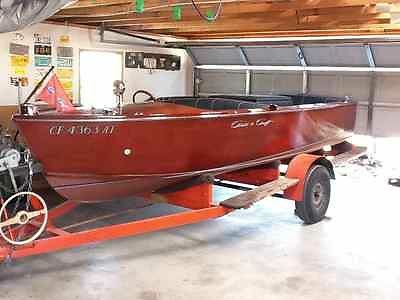 HELLO,WHAT WE HAVE HERE IS A CHRIS CRAFT CAVALIER PROJECT BOAT. THIS HAS A SMALL GRAY MARINE FOUR CYLINDER ENGINE. THIS BOAT IS AN AMBITIOUS PROJECT BUT WOULD BE BREATH TAKING WHEN SHE IS DONE. IT IS MISSING THE PROP AND THE WINDSHIELD. LET ME SAY IT AGAIN, THIS IS AN AMBITIOUS PROJECT! HOWEVER, OTHER THAN THE PROP AND THE WINDSHIELD SHE IS BASICALLY COMPLETE. THE TRAILER IS NOT ROAD WORTHY IN MY OPINION AS THE TONGUE IS ROTTED AND THE TIRES ARE VERY OLD. HOWEVER I HAVE MOVED IT AROUND MY PROPERTY WITH THE TRAILER. 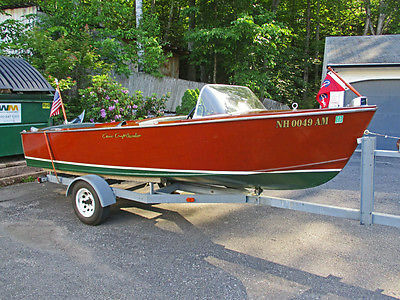 WHEN I PURCHASED THIS, I HAULED THE BOAT AND TRAILER ON THE BACK OF MY F350 ROLLBACK...I PURCHASED THIS A FEW YEARS BACK WITH THE INTENTION OF RESTORING IT, AND OTHER THAT A LITTLE ENGINE TINKERING AND SOME PARTS SQUIRRELING I HAVE NEVER REALLY DONE ANYTHING TO IT. IT REALLY IS A SIN, AS SHE DESERVES A BETTER FUTURE THAN WHAT I CAN GIVE HER. I PERSONALLY THINK SHE IS OLDER THAN 1968 AND I THINK THE ENGINE IS WAY OLDER THAN THE BOAT. ACCORDING TO MY RESEARCH THE ENGINE IS FROM ABOUT 1945 AND WAS USED IN SMALL SAIL BOATS. I HAVE A FEW MORE GRAY MARINE FOUR CYLINDER ENGINE/TRANSMISSION UNITS THAT ARE MUCH BETTER SUITED FOR THIS THAT I MIGHT BE PERSUADED TO SELL. I DO HAVE A CLEAN, PENNSYLVANIA TITLE FOR THIS IN MY NAME! 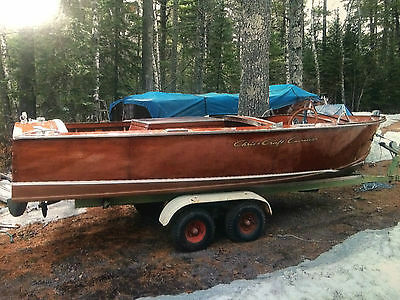 THE TITLE SAYS 1968 CHRIS CRAFT 15 FOOT INBOARD WOOD HULL CONSTRUCTION. TITLE IS TRANSFERABLE! PLEASE LOOK AT PICTURES AS THEY ARE CLEAR. 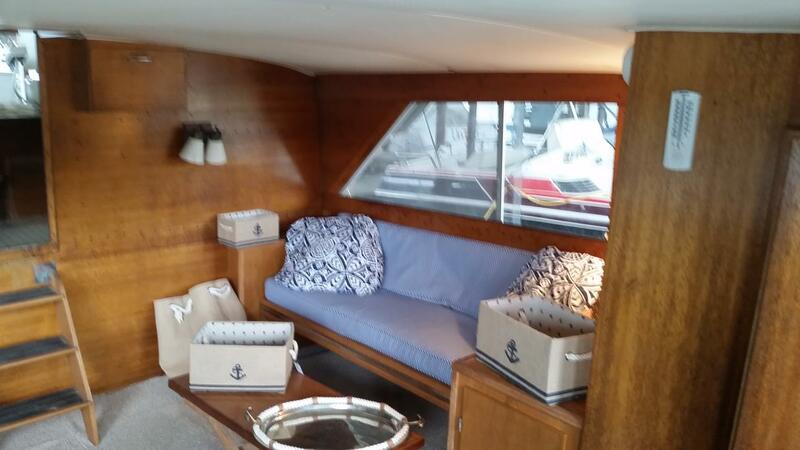 IF YOU LIKE WOODEN BOATS LIKE I DO, THIS IS A GREAT CHANCE TO GET INTO ONE. DON'T BE SHY, MAKE AN OFFER! THANK YOU AND GOD BLESS. DON 5709563338. I CAN DELIVER WITHIN REASON FOR A FEE AND I AM MORE THAN WILLING AND ABLE TO HELP LOAD ON YOUR TRAILER! HAVE A NICE DAY AND THANK YOU FOR LOOKING! 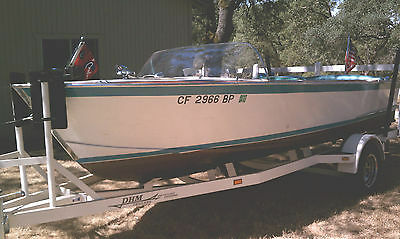 1988 Chris-Craft Cavalier 170 Motor block is cracked. - For Parts or Fix Only! 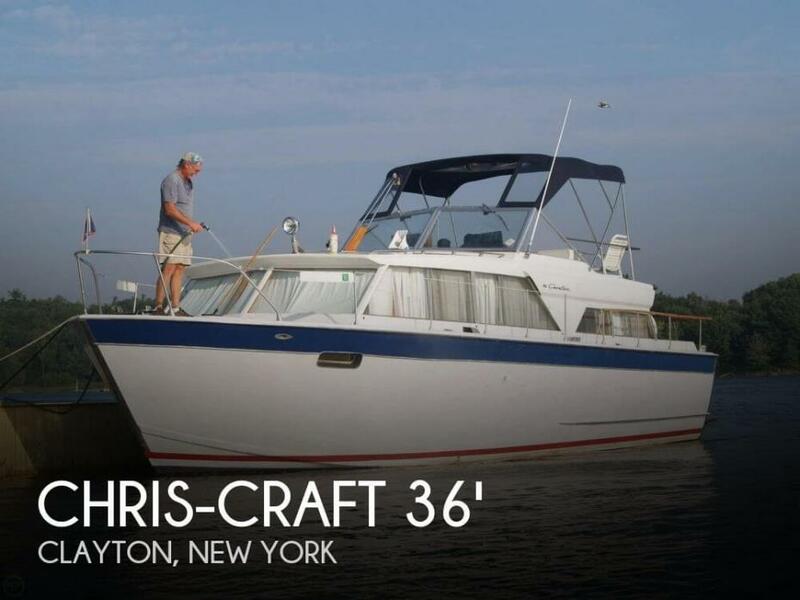 HI, UP FOR SALE TODAY IS MY VERY ROUGH CHRIS CRAFT CAVALIER PROJECT. 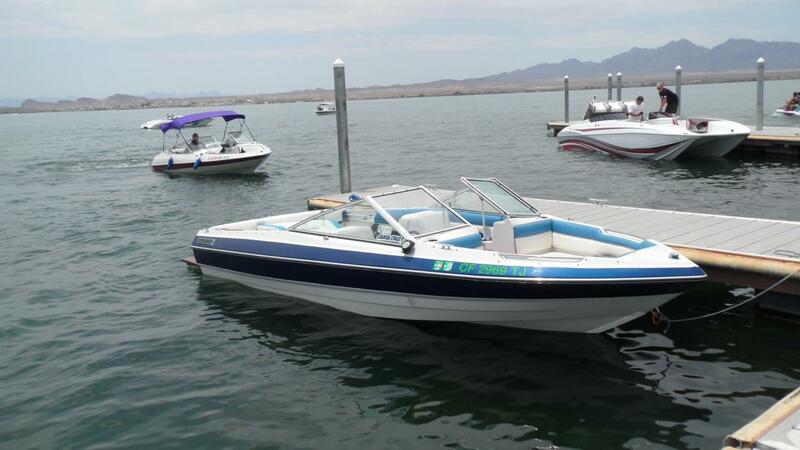 THIS IS A TRUE INBOARD WITH A FOUR CYLINDER GRAY MARINE ENGINE. I THINK THE BOAT IS ABOUT A 1955. THE ENGINE IS A SEA SCOUT 91 THAT DATES TO 1946. THE ENGINE IS A LITTLE TO SMALL AND OLD SO I WOULD ASSUME THE ENGINE IS NOT CORRECT. I HAVE AN EXTRA GRAY MARINE MODEL 70 I MIGHT PART WITH FOR SOME EXTRA $$$. 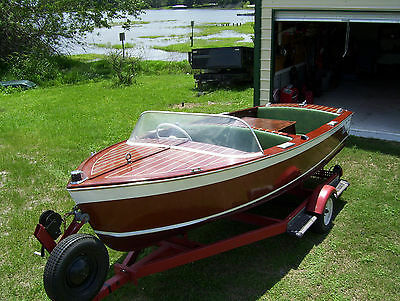 WOULD BE ABOUT THE RIGHT VINTAGE AND SIZE ENGINE FOR THE BOAT :) THE SEA SCOUT THAT IS IN THE BOAT IS FREE AND HAS COMPRESSION BUT I WOULD RECOMMEND PULLING IT OUT AND REMOVING THE OIL PAN AS SOME A**HOLE STOLE THE DISTRIBUTOR AND A MOUSE WENT DOWN THE HOLE AND BUILT A NEST. I CLEANED MOST OF IT OUT OF THERE, BUT THERE IS STILL SOME LEFT THAT I COULD NOT REACH. I WAS GOING TO TRY AND GET THE ENGINE STARTED. I BORROWED THE DISTRIBUTOR FROM THE MODEL 70. NOT INCLUDED. I DID NOT TRY TO START THE ENGINE AS I NEVER GOT TO PULLING THE OIL PAN. THE HULL SKIN NEEDS TO BE REDONE IN PLACES. IMHO THE MAIN STRUCTURE IS STILL SOLID BUT SOME MAYBE ALL OF THE PLYWOOD NEEDS REPLACED. TRAILER WILL ROLL BUT IT IS ROTTED AND NOT ROAD WORTHY. I BROUGHT THIS IN ON A 16 FOOT ROLLBACK. TRAILER AND ALL. LOTS OF STARES. LOL I HAVE SOME PAPERWORK ON THIS. THIS IS A NON COMPLETE PROJECT BOAT AND WHAT YOU SEE IS WHAT YOU GET. BOAT AND TRAILER ONLY! TRUCK NOT INCLUDED! I AS GOING TO FIX IT BUT I JUST CAN'T GET TO IT. PLEASE HELP SAVE THIS PIECE OF MARINE HISTORY. SHE DESERVES SO MUCH BETTER. EMAIL OR CALL WITH NEEDS. THANK YOU, DON 570 956 3338. 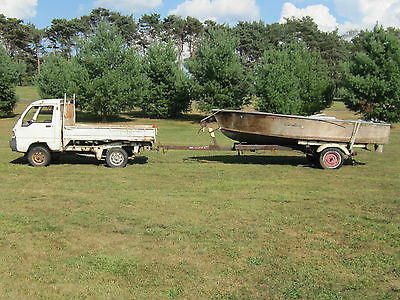 Vintage Chris Craft Cavalier with trailer. Runs excellent, engine totally restored. Call me (352) 875-7047. 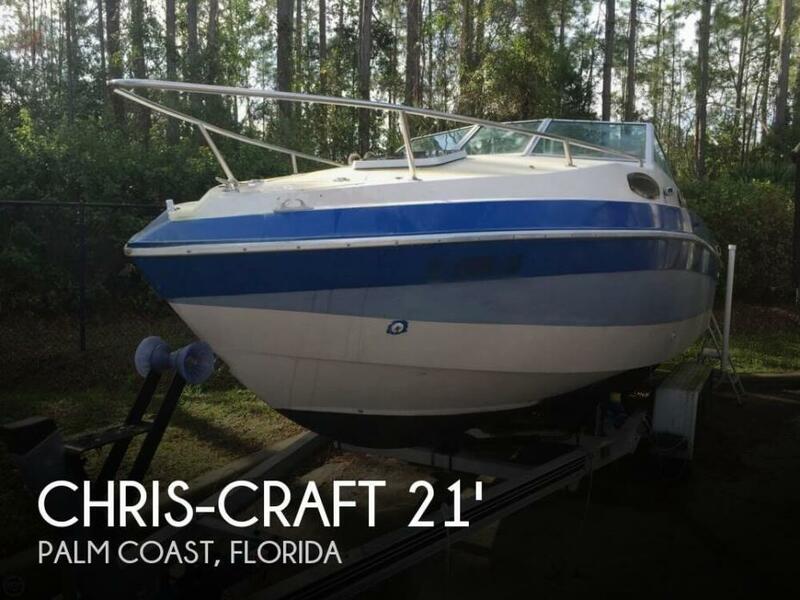 Welcome to look at and test drive this boat located in Central Florida. Boat is in good condition. Trailer is in decent condition. 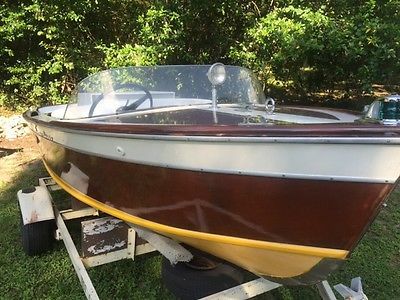 Boat is listed at other sites for sale and this listing may be removed at any time. PayPal or cash in person deposit of $500 within 48 hours of auction close. Full payment PayPal or cash required within 7 days of auction close. Boat is located in Central Florida. 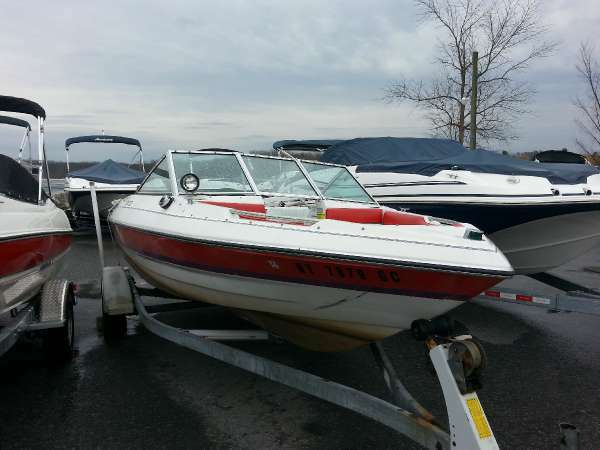 Contact seller to view boat. 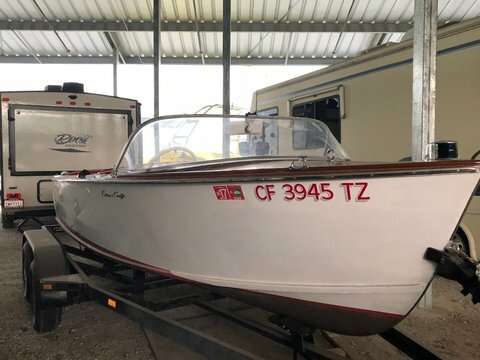 1956 17 Foot Fully Restored Chris Craft!! Must See!